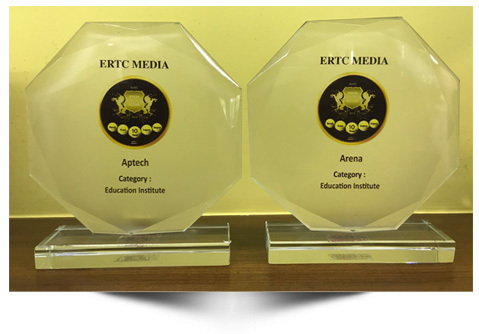 Aptech and Arena have won the ‘Brand of the Decade’ Award in the Education Space by Brand Advertising Research and Consulting Asia and Herald Global. ‘Brand of the Decade’ indicates the brands that have achieved consistency with brand equity over the last 10 years by making relevant changes and tactical shifts in order to retain their objectives. With innovations and ideations these brands have become successful in harnessing customer attention and ongoing loyalty to ensure growth. The brands for the 'Brand of the Decade' Award are selected after an extensive three phases of research. The first phase of research comprises compiling and evaluating the industry reports. It involves market surveys, brand reports and other industry resources. In the second phase, the brands shortlisted after the phase one are examined through the in-depth Primary surveyconducted among the target audience. Finally, in the third phase, the list of the brands is further scrutinised by the research agency. The brands are rated on parameters like market share, growth rate, turnover, innovation and achievement over the last 10 years. The brand that scored the highest average rating in the category on these parameters is selected as 'Brand of the Decade'.